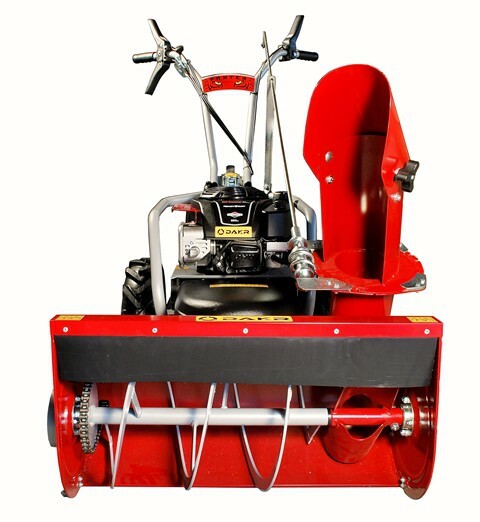 The snow blower in connection with the Panter FD-2 driving unit equipped with B&S 850 I/C engine is appropripate machine for removal of fresh powder snow. 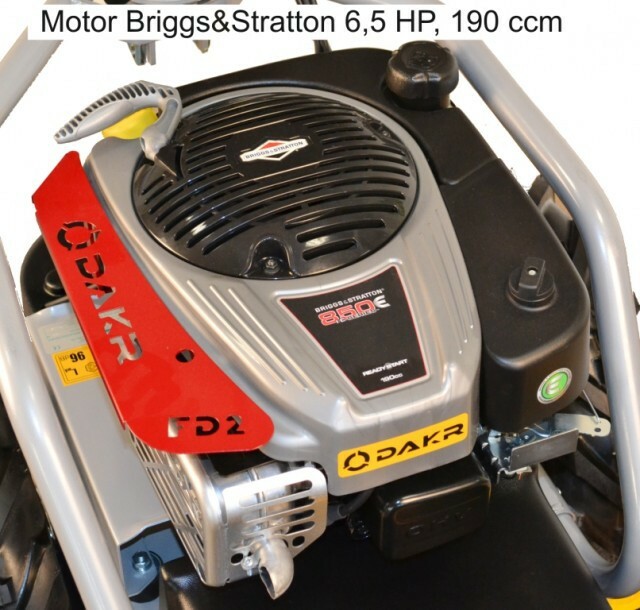 The machine serves for every day cleaning of pavements, garage´s entrance or for works on flat surface. 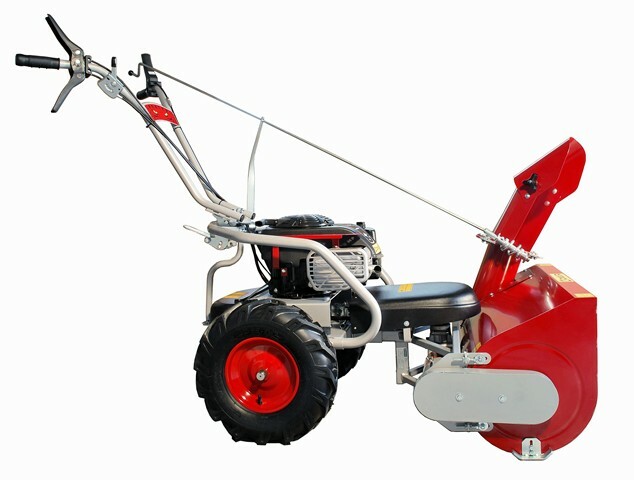 It is two-level snow blower with slowly going worm and fast going blade in one axis. 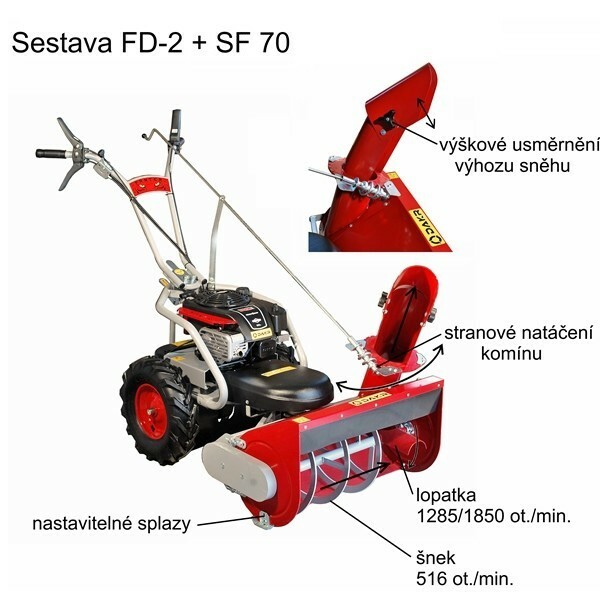 The possibility to set 2 different revolutions of the blade´s speed makes our snow blower unique. When you need to clean fresh powder snow set the faster revolutions (1,850 RPM) to the snow blows as far as possible. While you set the slower revolutions (1,285 RPM) you can remove the heavy wet snow more effectively. Thanks to rotating chimney it is possible to influence the thrown snow direction (forward, aside). You can attach a range of the adaptors compatible for Panter FD-2 driving unit such as a mower, a mulcher, a cart, a rotavator, a salt spreader etc. It takes 5 minutes to change the adaptor. 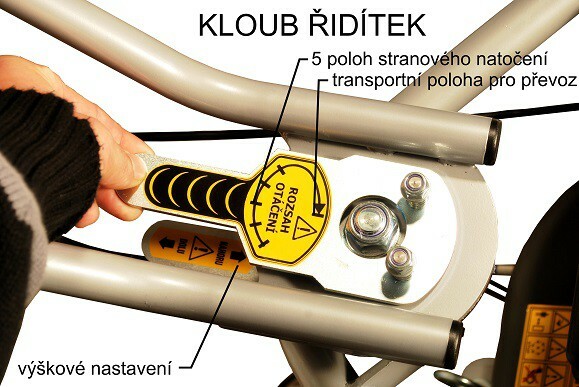 The machine has 3 speeds forward, the handlebars are height and horizontally adjustable. For the winter maintenance there are also the snow chains (order No. 10100.081) available.